This is the time of year when summer feels so darn close and backyard BBQs, camping trips, baseball games and other outdoor activities are within reach. I am so ready for a relaxing night around a bonfire, that’s for sure! 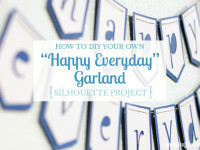 I’ve teamed up with 16 of my blogging friends to bring you 16 Silhouette project ideas today. 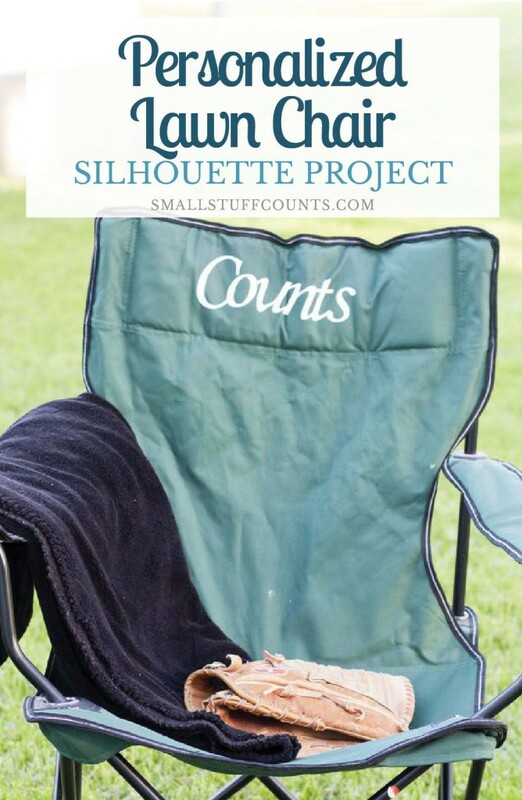 For this month’s Silhouette Challenge, we were all challenged to dream up outdoor themed projects perfect for preparing for the summer months ahead, and my friends came up with some super creative project ideas! This blog post contains affiliate links for your convenience. For more information, see my disclosure here. Lawn chairs are one thing that seems to get a ton of use in the summer months, so I decided to personalize our camping chairs with our last name to make it easier to keep track of them this summer. I don’t know about you, but I tend to misplace and lose these chairs all too often, so hopefully this will help! I experimented with heat transfer vinyl (HTV) for the first time on my last Silhouette Challenge project to add words to my colorful ombre tote bags, and the HTV worked so well that I decided to use it for this project as well. HTV feels just like vinyl, but it can be ironed onto fabric, which made it the perfect material to create personalized camping chairs. 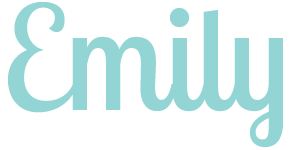 I chose a cursive font and designed the lettering in Silhouette Studio. Once your lettering is ready, you’ll want to weld together the letters. This essentially connects all of your letters so when you go to cut, the word will cut out as one piece. I used a cursive font and the letters were close enough together to overlap. Welding the letters together eliminated the lines that overlapped each other. The weld setting is in the Modify window, which you’ll find in the top right toolbar. This step is super important, and one I almost forgot! Because of how the HTV material works, you’ll need to mirror your design. To do this, go to the Replicate menu. Click on your design and then select either ‘Mirror Left’ or ‘Mirror Right’. It doesn’t matter which you choose. Once your design is mirrored, delete the original design and re-position the mirrored design so it fits on your page. Now that your design is complete, it’s time to adjust your cut settings! Go to the Cut Settings menu (top right toolbar) and make sure it’s set to ‘Cut Edge’. Then scroll down and change the material type to ‘Heat Transfer Material’. When you’re ready to cut, load your heat transfer material into your Silhouette. Follow the instructions for your material – the glossy side should face down. Line up your material with the rollers and then select the feed button so it loads into your machine. Change your blade number to match what Silhouette Studio recommends, and then do a quick test cut (the test cut button is in the Cut Settings menu). If the cut looks good, you’re ready to go. Click ‘Send to Silhouette’ and let your Silhouette do the cutting! Trim around the edges of your design with a scissor, then use the hook tool to remove the negative space from your design (this is called weeding). When you’re finished, the lettering should be left on the clear backing. 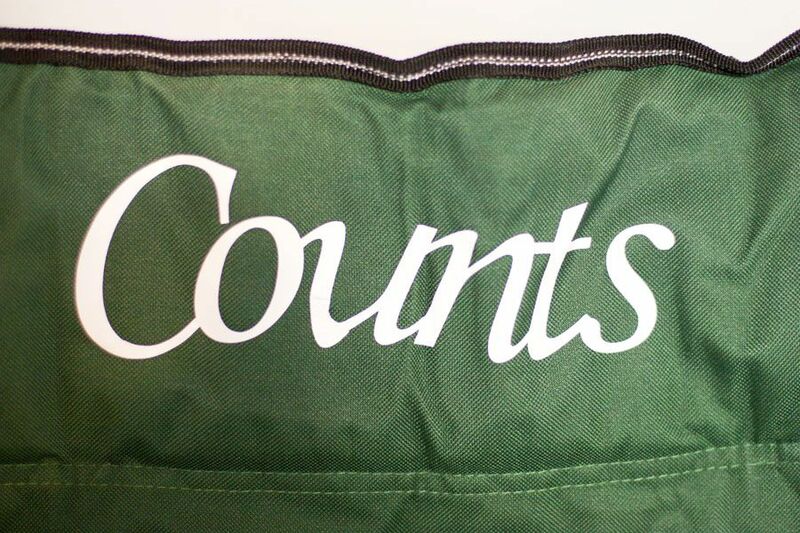 If you flip it over, you’ll see that your lettering is facing the correct way (see why we mirrored it earlier?). Place your design on the lawn chair and line it up how you wish. It’s so easy to do this since you have a clear backing you can see through. Firmly press down the edges and stick it to the fabric. The back of my lawn chair was a bit lumpy where the pieces of padding are inside, so it took a bit of adjusting to get it lined up just right. Place a cloth between the lettering and your iron and slowly iron for about 60 seconds. 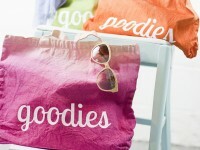 Lift up a corner of your plastic backing and if the backing comes up but the lettering stays stuck to your tote, you’re good. If the lettering pulls up at all, push it back down and iron some more. Allow to cool and then gently pull off the clear plastic backing. And that’s how you DIY personalized camping chair. Super simple, right? If you haven’t tried HTV yet, I highly recommend it. 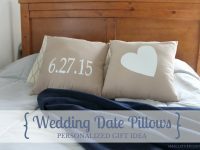 I want to personalize everything these days! 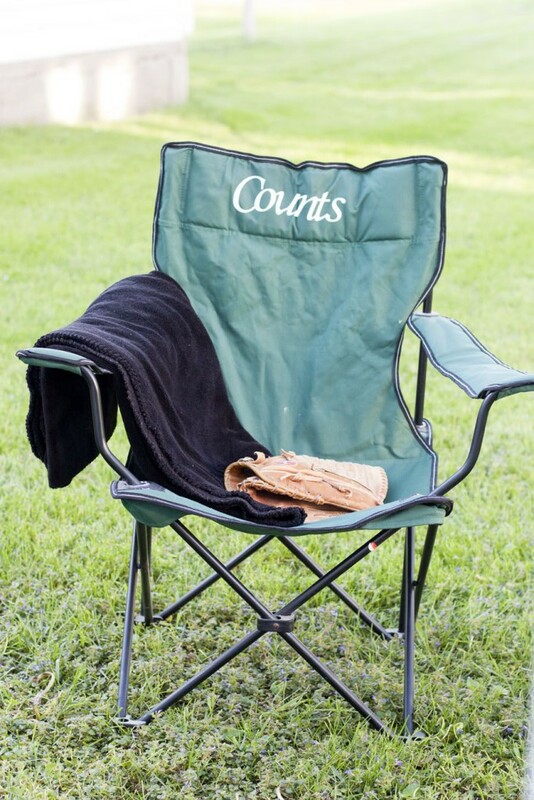 You could also add fun monograms or your kid’s jersey number to the back of your chair. I have two great Silhouette treats for you today! 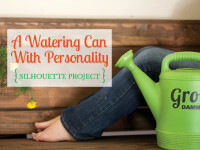 First off, my Silhouette Challenge buddies and I are all sharing projects on our blogs today, so peruse the projects below for a wealth of Silhouette inspiration! 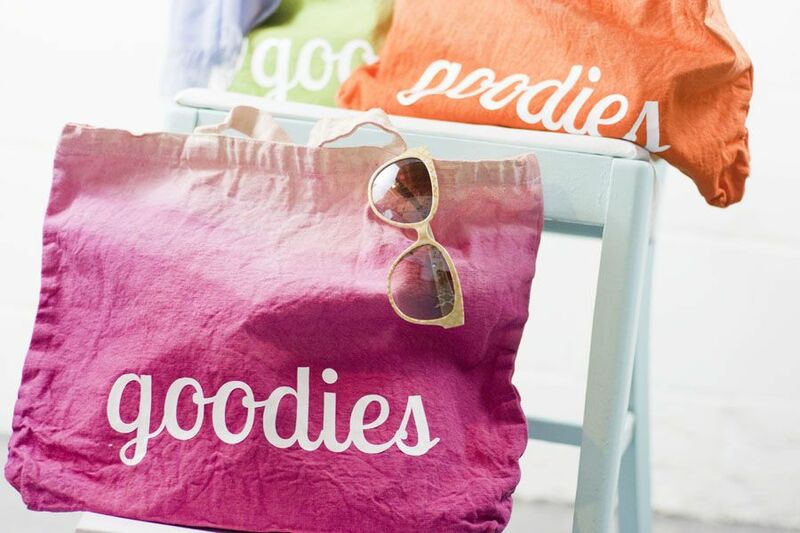 If you’re looking for more HTV project inspiration, you might enjoy learning how I created these colorful ombre tote bags! Does the iron not melt the nylon material of the chairs? Hi Ashley, I had no trouble ironing the nylon material, but it’s definitely something to be careful with. I had a piece of cotton fabric in between the iron and the nylon, so that protected it quite a bit. But all the chair fabrics are a bit different, so I can’t say for certain how your chair will hold up. Have fun Silhouette-ing! GREAT idea! I had no idea you could use HTV on those chairs. I think I need to make one that says “don’t you dare sit in this chair” – it seems whenever we’re at a picnic or tailgate I always lose my chair to someone else that decides to help themselves and sit down, haha. Thanks for sharing!! My husband loses these chairs all the time…I should do this and add a phone number! I would have never thought to do a lawn chair! Love this idea and prefect for keeping the family organized.. My husband thinks this is great! This is so awesome! It’s a great way to keep track of your chairs at big BBQs and make sure you come home with the right ones. Definitely adding this to my list of projects for the summer. That’s a fantastic idea! We tote these chairs all over the place in the summer and this is such a pretty way to keep track of them! What a great idea! I have a few of ours that need to be personalized!